Miami tourist attractions include Bayside Marketplace, Freedom Tower, Little Havana, American Airlines Arena and the Performing Arts Center. 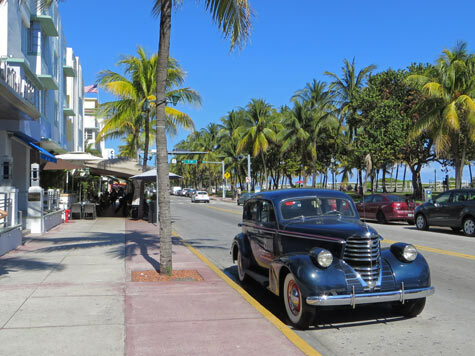 Top attractions in Miami Beach include the Art Deco District, South Beach, Versace Mansion, Old City Hall, Ocean Drive and the Holocaust Memorial. Practical information for cruise passengers regarding the Miami Cruise Port, popular cruise lines and available cruise destinations. Enjoy an excursion from Miami to destinations such as Cape Canaveral, the Everglades, Florida Keys, Fort Lauderdale, Palm Beach and Orlando. Topics include the Miami International Airport (MIA), train station, metro, commuter rail, Metromover, boat tours, hop-on hop-off bus and bicycle rentals.